So I'm finally starting a 20v turbo conversion. Here's a few photos of the cars life so far. 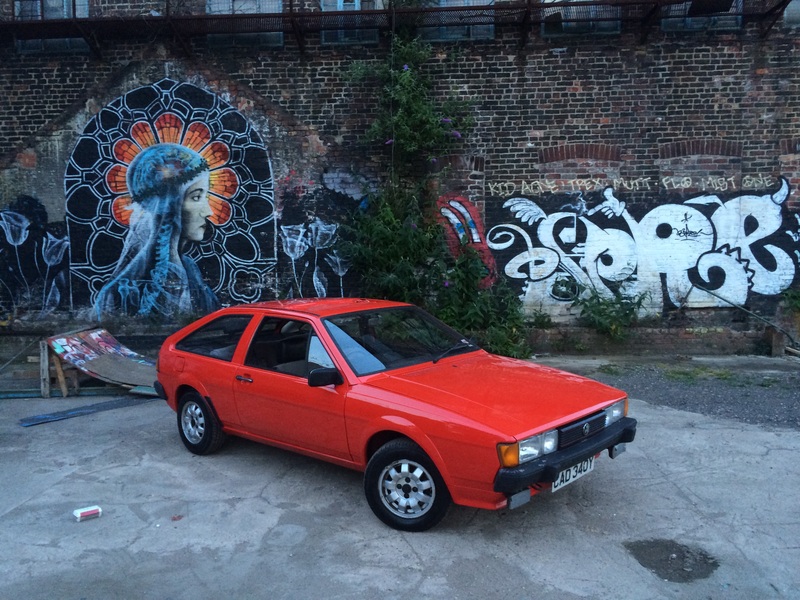 First is how it was found in a barn near Gloucester and then the previous owner bought it and had it resprayed. The original engine was replaced by the previous owner with another DX but that engine died a month after I bought it giving me the perfect excuse to start this project. I'd already removed a few injection parts, coolant pipes and ignition parts etc which were sold at the Nationals. So tonight I managed to make a start and removed the bumper and headlights. 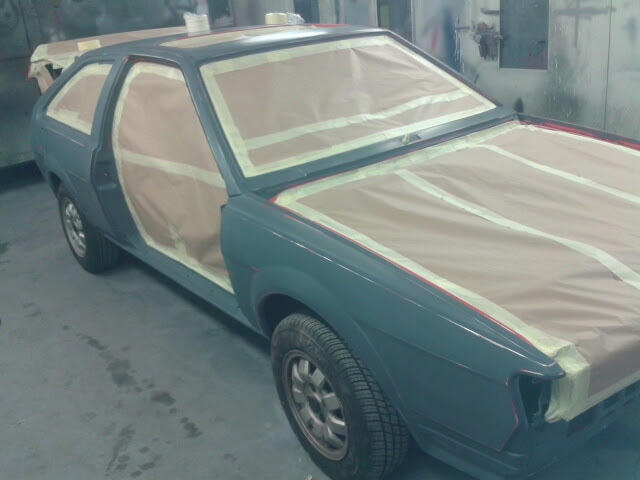 I'll be stripping the bay out completely as I want to give it a good clean up so I can decide whether to resprayed it or just touch up and rough bits. I'm trying to be organised as I go along and label and bag everything up as I go along, we'll see how long that lasts. Need any help then let me know mate. It's not too hard though, you should be all good. Not much more to see yet but think I've got everything disconnected from above and removed everything I can for now. Hopefully get the driveshafts, gear linkage and exhaust off tomorrow and she's good to drop. Hopefully have an empty bay soon. Then the fun of cleaning it all up begins. That's an awful quality picture. Ok so got the linkage disconnected, exhaust and removed both driveshafts. Lowered the engine as slowly as I could with a couple of jack's and some wood. Yeh I've been reading through that and looking at Henry's Facebook photo album from when he did his. Lots of knowledge in the group now when it comes to these conversions. Been a while since I updated this. 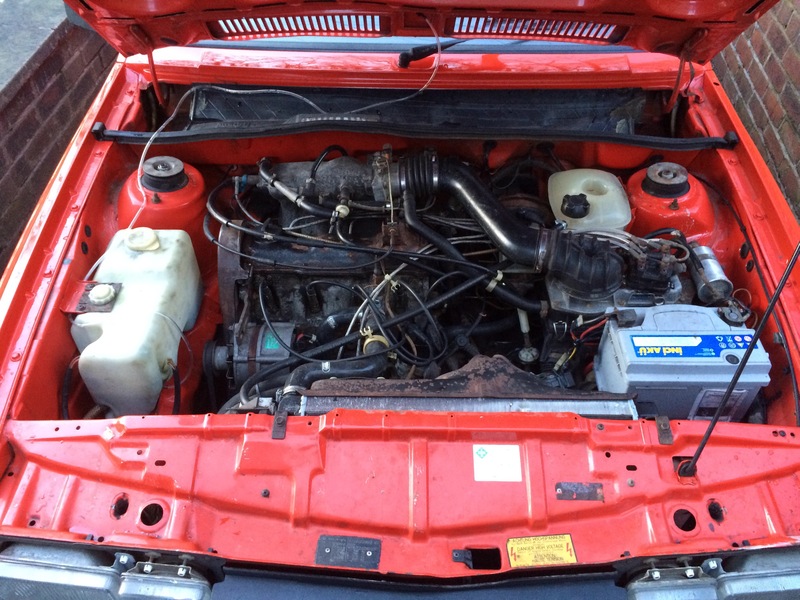 Got the Scirocco engine bay cleaned up with a pressure washer and some degreaser before I went away and started stripping the Golf engine. Since getting back I've finished disconnecting the engine and removed loads of the emmision guff that I won't be using. Now all hooked up to the crane and ready to go but ran out of time before work. I didn't know you could fit it without a front mount? 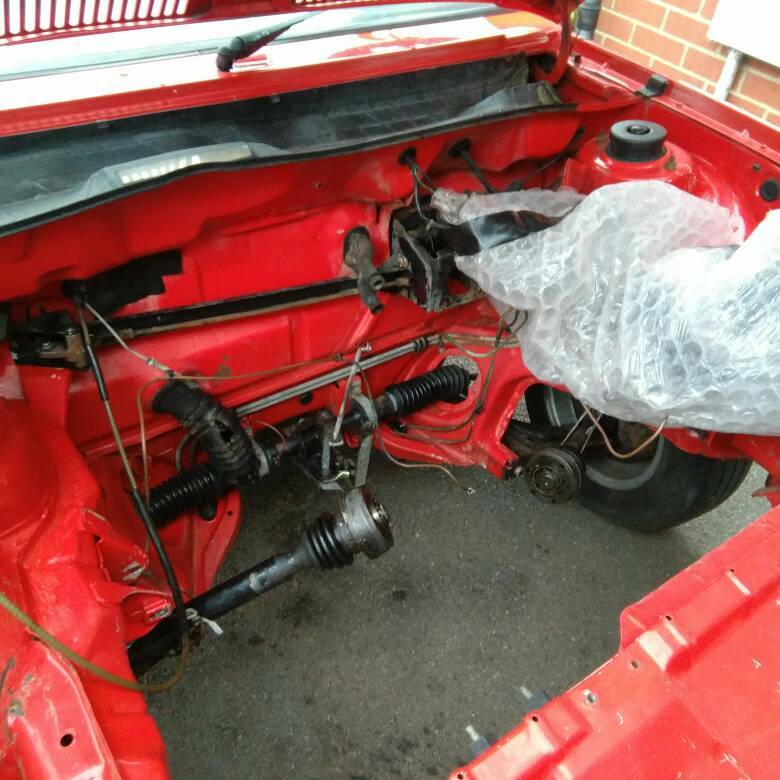 So got the engine out, separated the gearbox which has been sent to GasnGears to have a Quaife fitted. Removed the clutch and flywheel and started removing everything else from the engine ready to clean it up and paint it. The bottom aux belt pulley belts were an arse to remove, 3 started to slip but luckily still came out and the last one stripped completely. After hammering various different sizes of torx, splines etc into the head in a vain attempt to remove it I was about to admit defeat and drill the head off. After a bit of moral support and encouragement from Tom via messenger I dug out my welder and tried welding a nut into it, this didn't really work as I couldn't get it to form a weld inside the nut and anything outside would just get in the way of the socket fitting on. 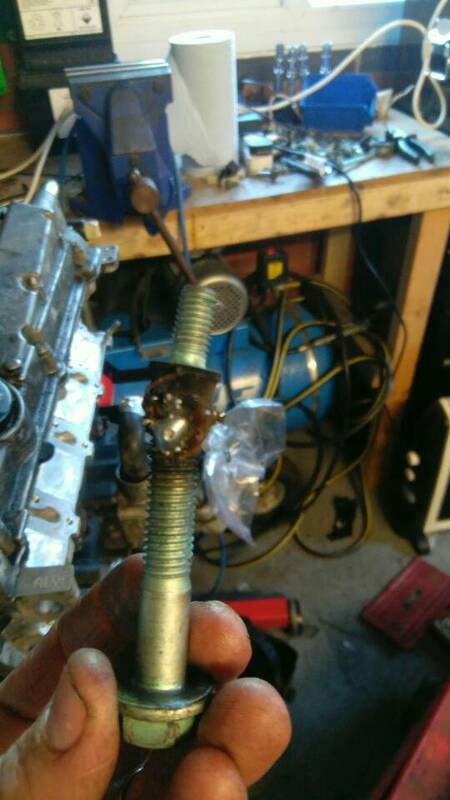 I then managed to weld a bolt onto the end of it pretty well but the bolt then sheared off, at least my weld proved to be strong . So I had to drill out the welded on bolt and weld a bigger bolt on which did the trick, not the prettiest weld in the world and I definitely didn't have the settings right but I was happy with my first ever attempt at this. 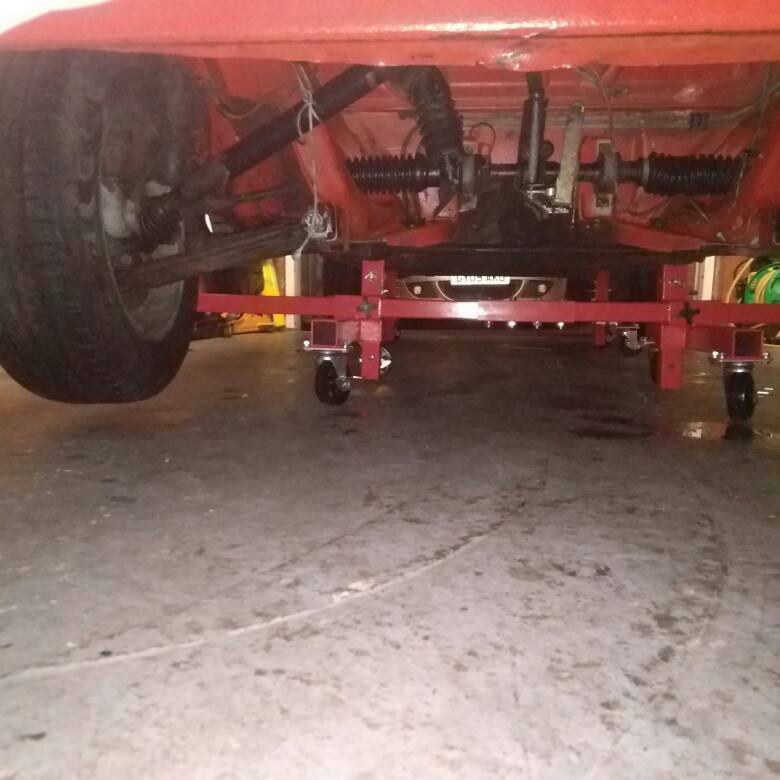 I bought myself an early Christmas present at the NEC and now my car is on a set of mobile axle stands giving me loads more room in the garage where ever I need it. I had been considering ways to do away with the bar but was reluctant to go servo less and also put off by the price of bias boxes having only really seen the crazy quiff ones that didn't involve cutting up the car too much. 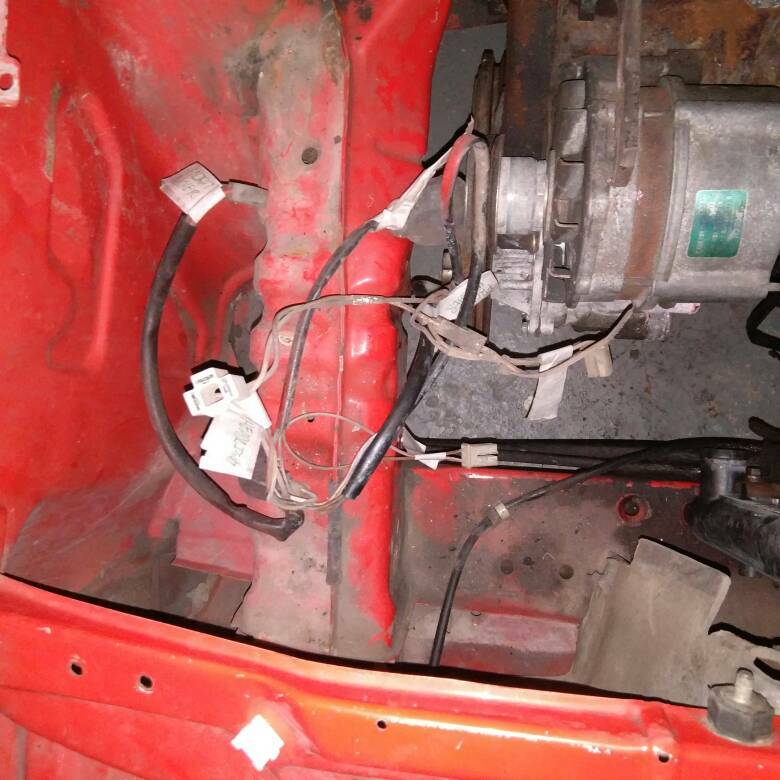 Having found someone that can make a bias box mounted to the steering column for a very reasonable price I decided to go for it, stripped out the column and sent it off along with all the pedals as it will be getting a hydraulic clutch and the drive by wire sensor for the throttle. I'm hoping that I can get a good pedal feel without servos having been assured by people much more knowledgeable than me that it's all about cylinder ratios. And to be honestly anything has to feel better than that bendy linkage soaking up all the force your trying to put down.